It’s summertime, you’re on an exotic beach vacation, and obviously your first thought is “I wonder how I can smell more like battered poultry while I’m tanning and relaxing," right? Luckily, KFC’s got you covered. Quite literally, in fact, with their fried chicken-scented sunscreen. "The sun gives us life. But if we're not careful it also gives us painful sunburns. 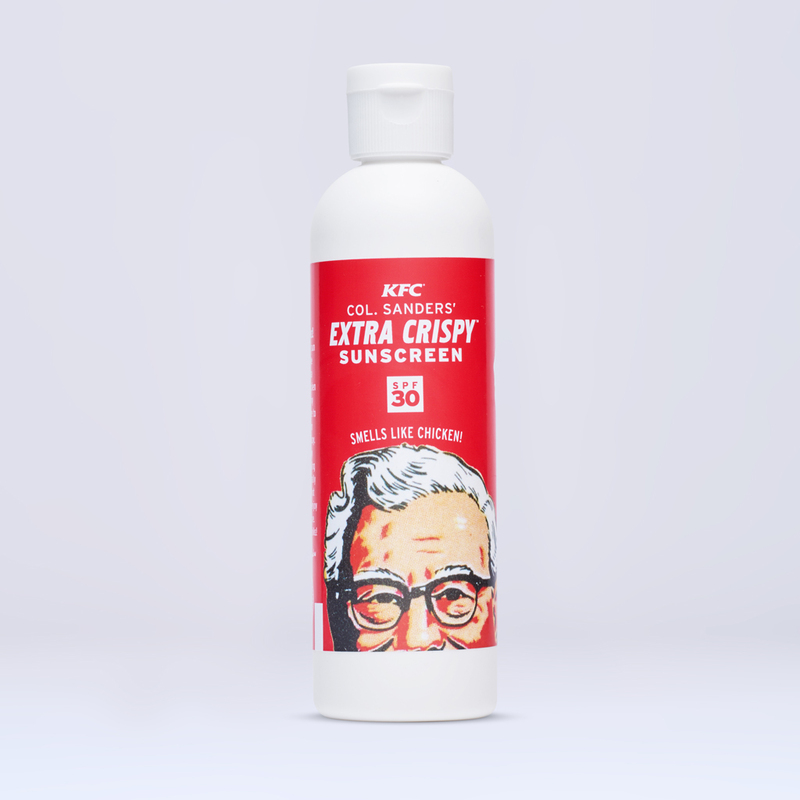 That's why we made KFC's Extra CrispyTM Sunscreen! Its SPF helps protect your skin while the real fried chicken scent leaves you smelling delicious!” says the fast food company in a press release. The marketing ploy stems from KFC’s most recent campaign featuring an absurdly tan (extra crispy) George Hamilton dressed as the colonel. While the sunscreen is inedible, you'll get a free bottle if you sign up on their dedicated website. And who turns down free stuff? Actually, for us, this may be a first.